Skype, a software that gets even worse with every update. Last time I started Skype and it updated automatically to version 8. What could go wrong? Well version 8 is featuring a huge UI refactor, making everything simpler, which means that functions where removed. For example I am no longer able to configure the webcam. 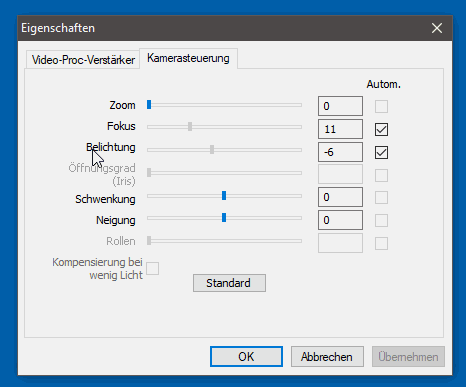 In the settings dialog, or whats left of it, you can only select the webcam. No configuration. Before I was able to access the settings of the webcam, configuring stuff like auto focus, luminance etc. I guess the webcams settings dialog is somewhere in the driver and I was unable to call it from Windows. This is bad, because the auto focus resets it self every time I restart the computer. This is very annoying during when skyping. 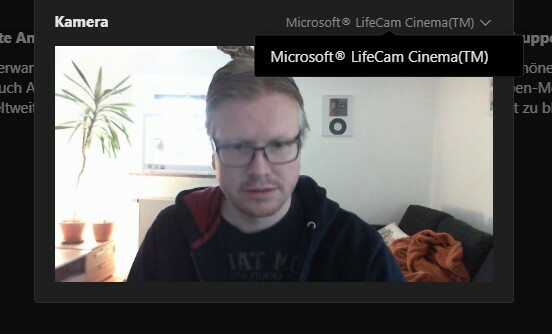 I am using an older Microsoft LifeCam Cinema, which still works with very good results. 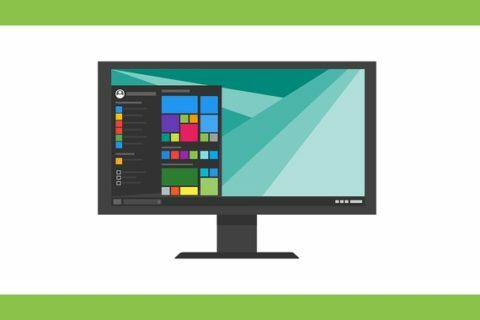 So I wrote a small software, base on csharpWebcam. 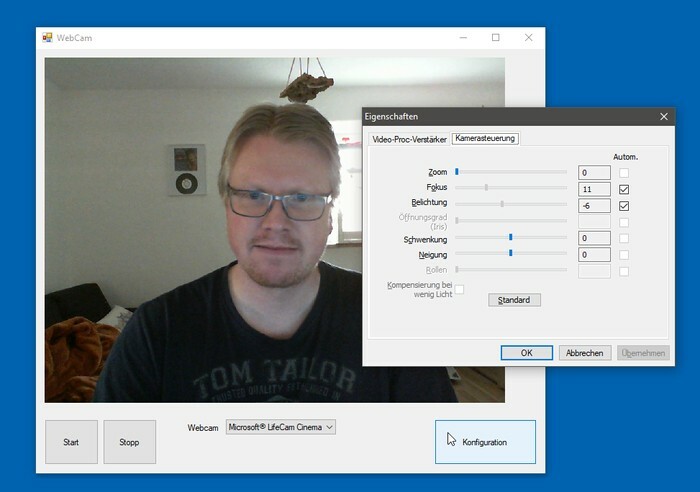 The software can call the config dialog from the webcam. 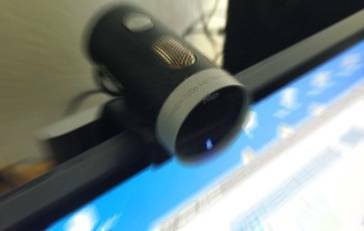 The settings made here are global, so Skype and every other software using the webcam, will use the settings. 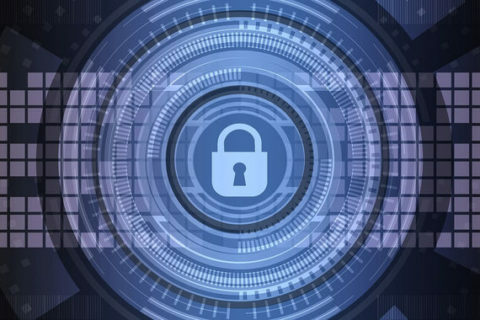 Software and source ;are available here. I used Visual Studio 2015 for the software. 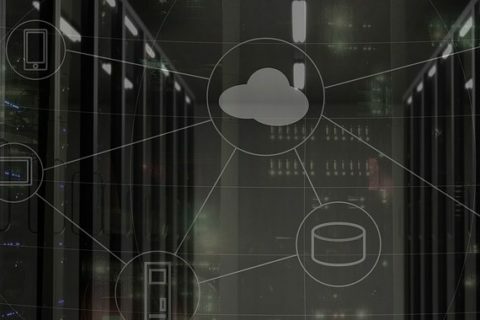 .net framework 4.6 is required to run the software. If there is another way to access these settings from Windows, let me know.